NEW Podcast on Satyam (SAY) Posted! Last weekend, I reviewed the week of September 25, 2006. 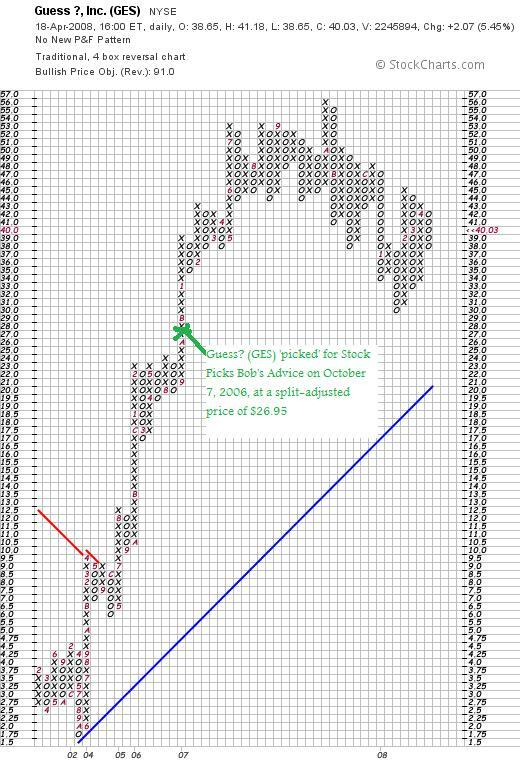 Going a week ahead, let's take a look at the week of October 2, 2006, a week in which I posted a single stock, Guess (GES). These reviews all assume a 'buy and hold strategy' while in fact I advocate as well as employ a disciplined investment portfolio management strategy which requires to sell declining stocks if they incur small losses, and to sell appreciating stocks in part if they reach stock prices on the upside. The difference between these strategies would certainly affect performance and should be given consideration when reading these reviews. On October 7, 2006, I posted Guess (GES) when it was trading at $53.89/share. Adjusted for a 2:1 stock split on March 13, 2007, this worked out to a price of $26.95. With GES closing at $40.03 on April 18, 2008, this works out to a gain of $13.08 or 48.5% since posting. I do not own any shares nor do I have any options on this stock. "...designs, markets, distributes, and licenses lifestyle collections of apparel and accessories for men, women, and children. The company's products include collections of denim and cotton clothing, including jeans, pants, overalls, skirts, dresses, shorts, blouses, shirts, jackets, and knitwear. It also grants licenses to manufacture and distribute a range of products, which comprise eyewear, watches, handbags, footwear, kids' and infants' apparel, leather apparel, swimwear, fragrance, jewelry, and other fashion accessories." On March 19, 2008, Guess? (GES) reported 4th quarter 2008 results. For the quarter ending Februar 2, 2008, the company reported total net revenue of $514.6 million, up 29.9% from $396.2 million reported the prior year. Comparable store sales grew 13.1% during the quarter. Net earnings for the quarter increased 20.3% to $55.2 million from $45.9 million during the same period the prior year. Diluted earnings per share were up 20.4% to $.59 from $.49 the prior year. The company beat expectations with these results. Analysts surveyed by Thomson Financial had been expecting earnings of $.57/share on $470 million in revenue. 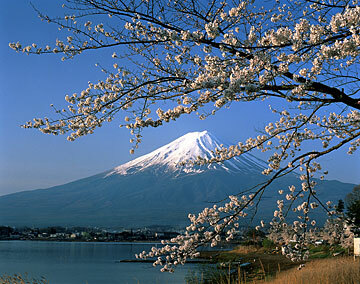 However, the company lowered guidance for the first quarter of 2009. Analysts had been expecting $.47/share on revenue of $450.6 million. 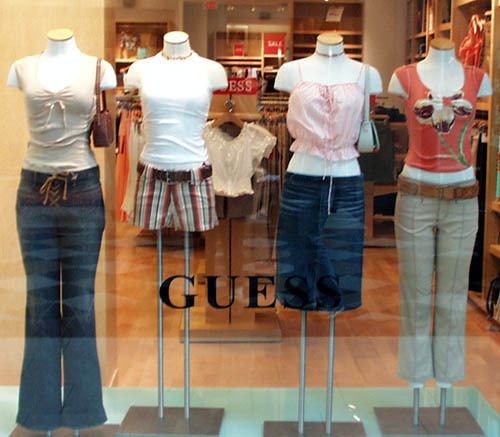 However, Guess now expects earnings between $.44 to $.46 on $445 to $460 million in revenue. Reviewing the Morningstar.com '5-Yr Restated' financials on GES, unfortunately there is a very incomplete picture present. What we can see is that the company is generating free cash flow, and the balance sheet is solid. Looking at the 'point & figure' chart on Guess? (GES) from StockCharts.com, we can see the shar appreciation in stock price from a low of $1.75/share in October, 2002, to a high of $56 in October, 2007. The stock has been under pressure recently, along with the entire market, but has stayed well above support levels. Summary: What do I think about Guess? (GES)? 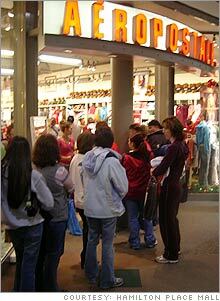 Actually, except for the weak retail environment that our nation is facing, I still like Guess just fine :). The latest quarter was strong, but the company reduced guidance slightly. The chart looks adequate. Unfortunately, I don't have the longer-term results from Morningstar. This was a great stock pick for the week. Thus the only pick showed a gain of 48.5% since posting. 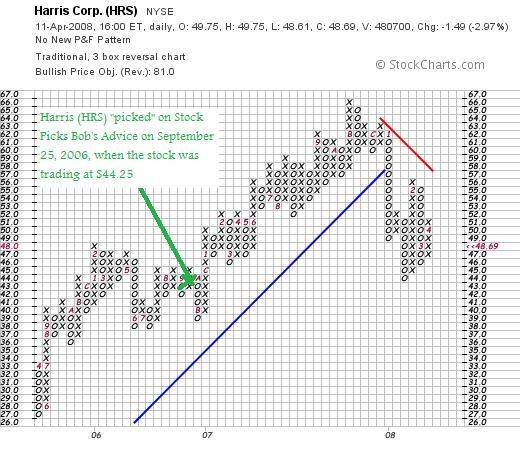 If you have any comments or questions, please feel free to leave them on the blog or email me at bobsadviceforstocks@lycos.com. If you get a chance, be sure and visit my Covestor Page where my actual trading portfolio is tracked (I was doing well until the recent sell-off in VIVO stock), and my SocialPicks page where my stock picks and my blog entries are reviewed since the beginning of 2007. And if you still have some interest, be sure and visit my Podcast page where you can download an mp3 of me discussing one of the many stocks I write about here on the blog. That's about it for the weekend! Wishing you all a wonderful Monday and a healthy and successful week ahead! 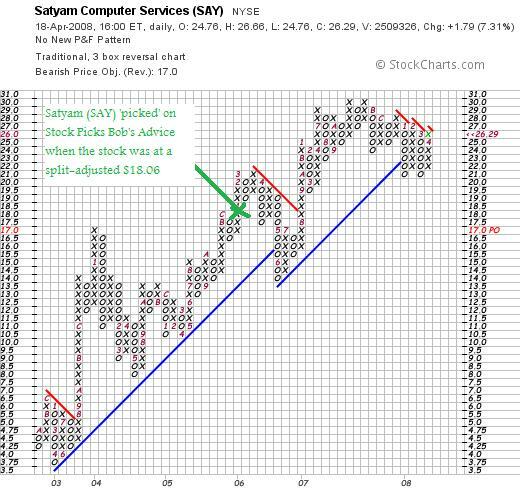 Satyam Computer Services (SAY) "Revisiting a Stock Pick"
It was a nice change to see stocks move higher Friday with the Dow closing at 12,849.36, up 226.87, the Nasdaq closing at 2,402.97, up 61.14, and the S&P 500 closing at 1,390.33, up 24.77 on the day. The stock market appeared to rally initially, as reported, on the back of the Citigroup (C) announcement of earnings, which although disappointing must have allayed some fears about possibly even worse results. In addition, perennial favorite Google (GOOG), zoomed higher by $89.87 or 20% after reporting a 30% increase in earnings, exceeding expectations. With the market acting almost giddy, I thought it would be a good time to take a look at the top % gainers lists and see if I could review a stock that might fit the criteria that I find important. First of all let me explain that I call this stock a "favorite" because I have reviewed this stock previously---on December 15, 2005, almost 2 1/2 years ago---when the stock was trading at $36.11. Adjusting for a 2:1 stock split on October 18, 2006, this represents a pick price of $18.06. Thus with the stock trading at $26.29 this past Friday, this represents a gain of $8.23 or 45.6% since posting. Unfortunately, I was unable to 'hand on' to this stock which I owned for an interval and instead was 'shaken out'. "...provides information technology (IT) services and business process outsourcing (BPO) services in the United States, Europe, the Middle East, and the Asia-Pacific region. It offers application development and maintenance services, consulting and enterprise business solutions, extended engineering solutions, and infrastructure management services." "IT services provider Satyam Computer Services Ltd, has been ranked as the world's leading engineering services outsourcing vendor by the Brown-Wilson Group (BWG). A BWG survey analysed 872 information technology and engineering outsourcing vendors in 63 countries and its results appeared in the company's "Black Book of Outsourcing," a highly respected publication. Satyam led in several categories, including vendor overall preference, flexible pricing and brand image." It has been a common-place event more many companies to outsource IT services to India and elsewhere to provide this service at a lower cost than available in America. However, one of the beneficial effects of the decline in the dollar value has been that it may once again be cost-effective to provide some of these services and manufacturing state-side instead of overseas. This insourcing, as it is called, is best exemplified by a story about IKEA, the European furniture manufacturer, which has announced plans to manufacture in the United States rather than in Poland. 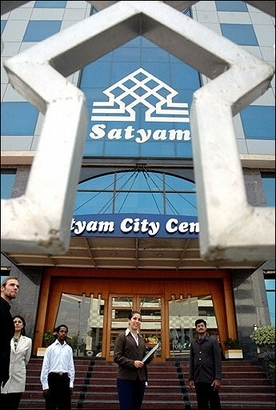 On January 21, 2008, Satyam (SAY) reported 3rd quarter results for the quarter ended December 31, 2007. Revenue came in at $562.9 million, up 49.9% year-over-year and up 10.5% sequentially. Net income was $109.7 million, up 54.3% from the prior year and up 7.7% from the prior quarter. Basic earnings came in at $.33/share, up 50% from last year, and up 6.5% from the prior quarter. Certainly a beautiful earnings report from my perspective. The company raised guidance for 2008, which guidance now between $2.119.2 and $2.122 billion, suggesting a growth rate beetween 45.0 and 45.2% over the 2007 results. Earnings were estimated for 2008 to come at $1.27/share suggesting a growth rate of 39.6% over the prior year. Reviewing the Morningstar.com "5-Yr Restated" financials on Satyam (SAY), we can see the steady picture of revenue growth from $459 million in 2003 to $1.46 billion in 2007. Earnings during this same period increased from $.26/share in 2003 to $.90/share in 2007. The company initiated dividends in 2005 at $.10/share and has increased it regularly to $.15/share reported in 2007. Meanwhile, outstanding shares have barely budged, increasing from 319 million shares in 2003 to 333 million in 2007. Free cash flow is positive and increasing recently with $132 million reported in 2005 and $180 million reported in 2007. The balance sheet is solid from my perspective with $152 million in cash and $457 million in other current assets, compared to $211.2 million in current liabilities and the relatively small amount of long-term liabilities totaling $41.9 million. Thus, calculating the current ratio, we obtain a result of 2.88, a very healthy ratio from my perspective. Using the Yahoo "Key Statistics" on Satyam as a guide, we can see that this is a large cap stock with a market capitalization of $8.80 billion. The trailing p/e is a moderate 21.91, with a forward p/e of 17.53. The PEG ratio confirms the reasonable valuation of this stock with a value of 0.96. Reviewing data from the Fidelity.com eresearch website, we can see that Satyam (SAY) is fully valued in terms of the Price/Sales (TTM) ratio which comes in at 4.52 relative to the industry average of 3.32. In terms of the Return on Equity (TTM), SAY does a bit better with a figure of 25.62% compared to the industry average of (26.50)%. The company also does better on Return on Assets (TTM) with 21.52% figure, relative to the industry average of 12.48%. Finishing up with Yahoo, there are 334.77 million shares outstanding. Yahoo reports that as of 3/26/08, there were 7.71 million shares out short representing a rather sizeable short ratio of 5.1 trading days. This is up from the prior month figure of 6.81 million shares, which also suggests a possible short squeeze in the making as this stock climbs higher. As I noted above, the company pays a dividend with a forward dividend rate of $.14/share yielding 0.6%. The last stock split, as I have already mentioned, was a 2:1 stock split on October 18, 2006. 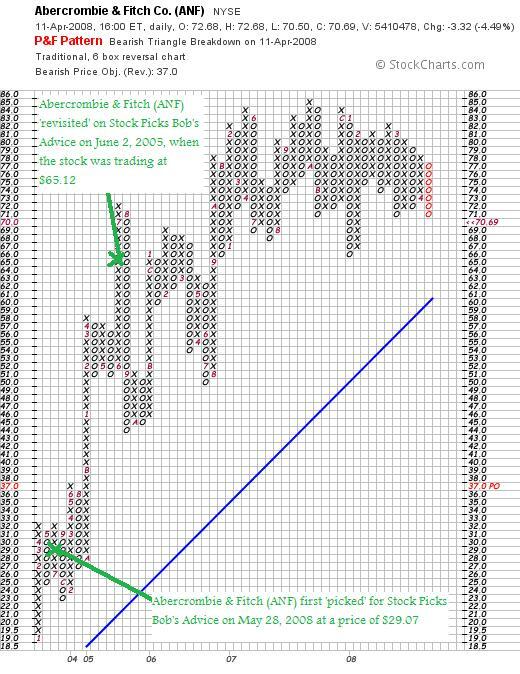 Examining the 'point & figure' chart on Satyam (SAY) from StockCharts.com, we can see that the stock has recently been under some pressure but has not convincingly broken-down from its steady increase from April, 2003, when the stock was trading as low as $3.75, to its peak in October, 2007, when the stock bounced against a high of $30/share. The stock certainly doesn't appear 'over-extended'. Well, needless to say, I like this stock. I am not sure if I am enthusiastic about the possible effects on American jobs of 'outsourcing' but with global trade, this is fairly unavoidable. And besides, with the insourcing that may become more common, as with the Ikea story, jobs may be returning home. We can at least hope. Anyhow, the company moved higher Friday along with the rest of the market. The large number (from my perspective) of shares out short may also be driving the stock to higher prices as short-sellers may be scrambline to cover their pessimistic wagers. The latest quarter was strong and the company raised guidance. The longer-term view is equally impressive with steady revenue growth, earnings growth, and even dividend growth! Outstanding shares have been relatively quite stable and free cash flow is positive. The balance sheet is solid. In other words this is my kind of stock! Now, if only I had been able to hang on to the shares I have owned in the past. 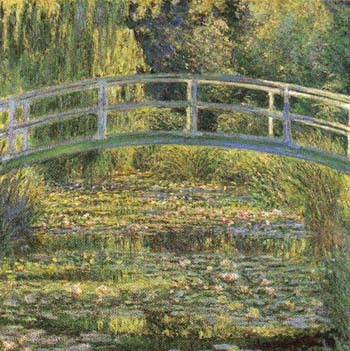 Well, that is 'water under the bridge'. Instead of kicking myself on this one, I shall wait for a signal from my portfolio that might give me the permission slip to be adding a new position to my portfolio which still consists of just six stocks. Thanks again for visiting! 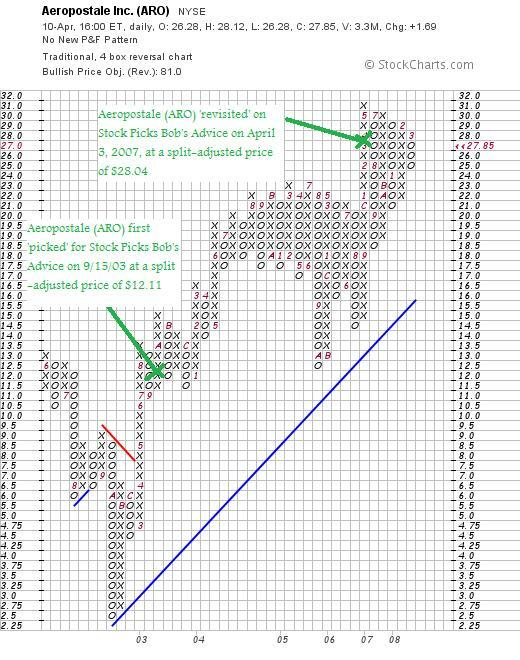 If you have any comments or questions, please feel free to leave them on the blog or email me at bobsadviceforstocks@lycos.com. If you get a chance, be sure and visit my Covestor Page where you can review my actual Trading Portfolio performance, my SocialPicks Page where you can monitor my stock picks from the first of 2007, and my Podcast Page where you can download some mp3's of me discussing some of the many stocks discussed here on this website. Hello Friends! 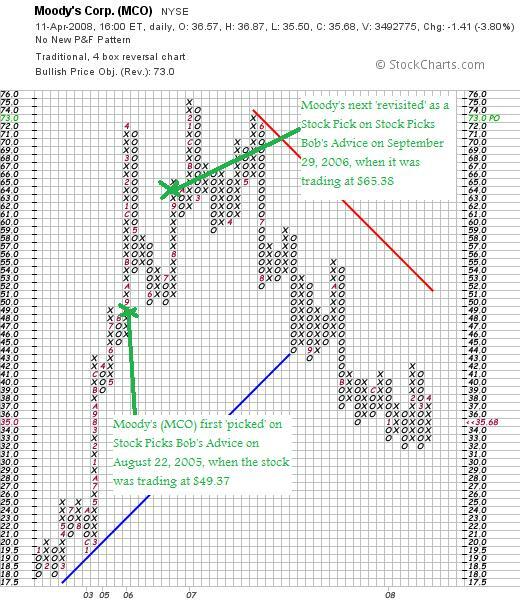 Thanks so much for stopping by and visiting my blog, Stock Picks Bob's Advice! Please remember that I am an amateur investor, so please remember to consult with your professional investment advisers prior to making any investment decisions based on information on this website. I would somehow be remiss if I didn't at least comment on the AWFUL trading activity in Meridian (VIVO) today. It was made doubly worse after just writing about this stock a few days ago (on April 12, 2008), and now seeing the price take a big hit on what was an earnings disappointment. VIVO closed today at $27.19, down $(6.54) or (19.39)% on the day. With this as one of my remaining six issues, my trading account really took a hit on what worked out to be a relatively stable market. This morning before the open, the company announced 2nd quarter 2008 results. Net sales came in at $36.2 million, up 13% from the prior year. Net earnings were $7.3 million, up 24% over the same period last year. Diluted earnings per share were $.18, up 20% year-over-year. They even announced a dividend of $.14/share for the quarter with an indicated rate of $.56/share, up 27% over the prior fiscal year. However, this wasn't enough for the street! The company missed expectations on both earnings and revenue. Earnings were supposed to come in (according to analysts polled by Thomson Financial) at $.19/share (they came in at $.18). And revenue was supposed to come in at $37 million, and the company only came in at $36.2 million. "The life science unit was hurt by lower demand from a major viral protein customer and a delay in shipment to a biopharma partner, CEO John Kraeutler said in a statement. Weak life science sales, coupled with a product mix that included low-margin products, reduced gross margins for the period, Kraeutler added." Even with the decline, the stock is above my sale point for a decline. "On the downside, if a stock declines to 50% of the highest appreciation level, I sell my entire position (after multiple partial sales). 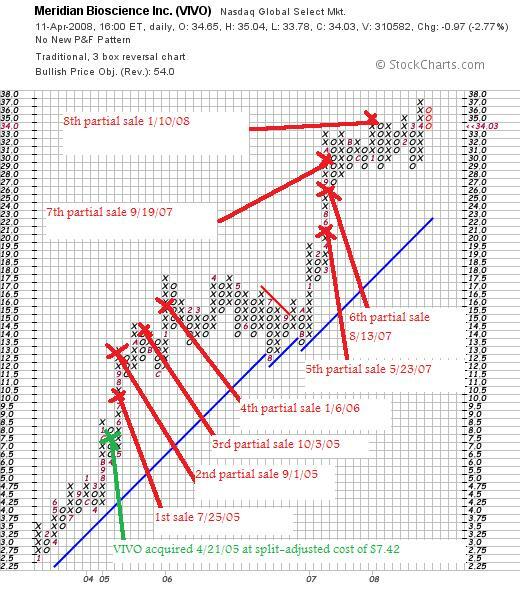 In this case, if the stock should decline to a 180% appreciation level or $7.42 x 2.80 = $20.78, then I would plan on selling the entire position." So I am still well above my sale point, and the stock is trading higher in after-hours trading suggesting the sell-off was way over-done. "The stock is quite small and is priced to near-perfection and I suppose for that reason could be vulnerable to a correction to more 'reasonable' values should the company fail to meet expectations. However, the latest quarter was strong, the Morningstar report is fabulous with the company even paying a dividend which it has been increasing every year!" Anyhow, I still own shares and didn't see anything significant enough to shake me out of my positions while I am well above any sale point on the doswnside! Besides, the company repeated guidance and didn't really report any 'bad' results today.